Hala is tasting its way through the jungle of various music styles: from melodic harmonies to cacophonous outbursts – their adventurousness stays unlimited. The international group established itself in September 2017 throughout the alternative music scene of Groningen. Playground of the four musicians are the compositions of German vocalist Helene Richter; with her naive and absurd lyrics every concert is turning into a night of abstract story telling. 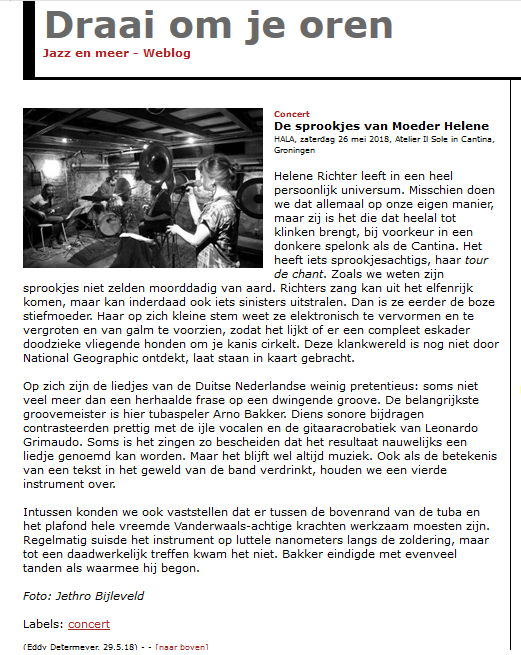 Her three companions embed Helenes widespread voice into continuously changing soundscapes: with Dutch pertness on sousaphone, Italian temperament on guitar and Serbian vehemence on drums.